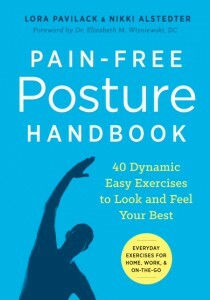 Good Health and Movement On the Go: The Pain-Free Posture Handbook! Have you ever wanted to take your Pilates instructor home with you so you could continue to sit right, move right, and feel great all day long? Now you can! 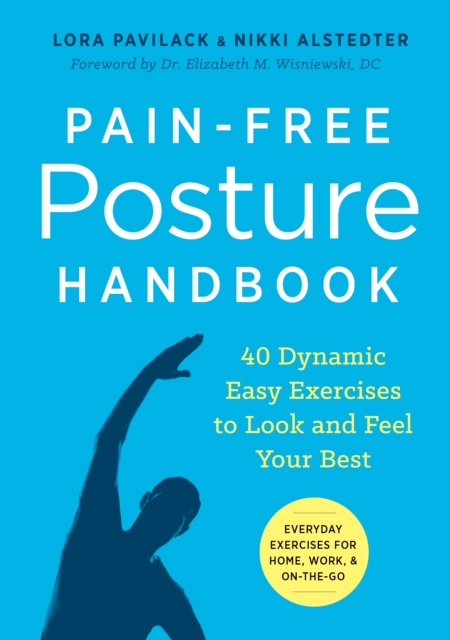 My lovely mentors and Pilates Studio City owners, Lora Pavilack and Nikki Alstedter, have written a book designed to do just that: Pain-Free Posture Handbook. Proper posture is essential to good health, proper organ function, and alleviating back pain. As they point out in the book, it is never too late to fix your posture. The Pain-Free Posture Handbook keeps you moving properly throughout your day with 40 exercises for home, work, and on the go! As my Master Trainers, Lora and Nikki have taught me so much about posture and movement, and therefore have contributed immeasurably to my teaching and the benefits my clients have received. 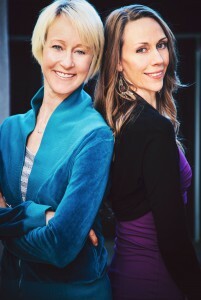 I am so excited for their wisdom and experience to be available 24/7 to my clients (and others!) in this handy guidebook! It’s available now to purchase on Amazon (at a great presale price) and will be released on May 17th. Click here to purchase. Lora and Nikki will be holding a Free Dynamic Posture Workshop on Thursday, May 12, at their book-signing event at Pilates Studio City. The event starts at 5:30pm and the workshop is from 6:45pm to 7:30pm. Click here for more details! Follow us on YouTube and Instagram! how can I get help, do I do franklin method what is best, please advice. am age 70 long standing severe forward head posutre, please help. Thank you for reaching out to us. We are so glad that you found Pain-Free Posture Handbook. Click on the links to our Youtube channel and if you are on Instagram we share some simple posture tips there. In regards to your forward head carriage, there are a few exercises from Pain-Free Posture Handbook that we would suggest that you start with. Check out the following sections in your book, they will provide a list of exercises and the page numbers for the specific exercises. Franklin Method® is a wonderful method that helps with posture, Eric Franklin has a wonderful resource center with plenty of videos that would help you. If you are in the Studio City, CA area we can also schedule you for a private session with one of our amazing pilates teachers. Thank you again for reaching out and we hope these resources help you, we know that when practiced regularly they can improve your posture.